If you've shopped for a car in the last ten years you've likely heard of a Certified Pre-Owned vehicle (CPO). These are late model cars that the dealer has thoroughly inspected and brought up to the specification for their Certified Pre-Owned program. They then give an extended warranty on the vehicle because they are confident in the car's condition. These certified pre-owned vehicles sold by Honda, Ford, BMW etc consistently sell for 10-20% more than non certified cars. The reason is clear - the Certified Pre-Owned cars give buyers confidence and security that they are buying a risk free product. Buyer confidence is a big deal no matter if the consumer is purchasing a $30,000 automobile or a $3,000,000 home. The Scott Realty Consultants Certified Pre-Owned Home Programs mirrors what the major car companies have done with their successful CPO programs and brings this program to the Sacramento real estate market. As far as we know, we are the only company that offers a Certified Pre-Owned Home Program in Sacramento. Selling your home as a Certified Pre-Owned Home takes all the insecurity out of the purchase process for both the Seller & the Buyer because before the house ever hits the market, all potential issues have been identified and major issues dealt with. This is a HUGE part of every transaction and a DYNAMITE marketing opportunity! Put yourself in a Buyer's position: Two identical homes are selling on the same block. One is a Certified Pre-Owned Home the other is not. Which would you make an offer on? • In many case our CPO homes will sell for 3-6% more than the competition! • Our CPO homes typically sell in less than 60 days. Often less than 30 days! • There is huge amount of risk and unknowns eliminated in the process for both Seller & Buyer. • The Buyer will NOT be re-negotiating when they discover need repairs two weeks into your 30 day escrow. • CPO homes often have multiple offers and sell for OVER the asking price. 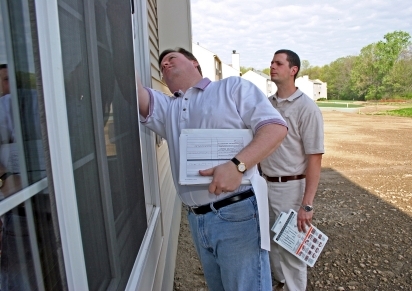 • We have the updated home inspection report to hand to any buyer and any know issues will be dealt with upfront. • Buyers will have confidence when making an offer on your home! Selling your home as a Certified Pre-Owned home is an excellent opportunity to get your home home sold quickly for more money AND with less stress! To find out more about the Scott Realty Consultants exclusive Certified Pre-Owned Homes Program and see in your home is a good fit, simply fill out the form below and we'll send you all the details right away!